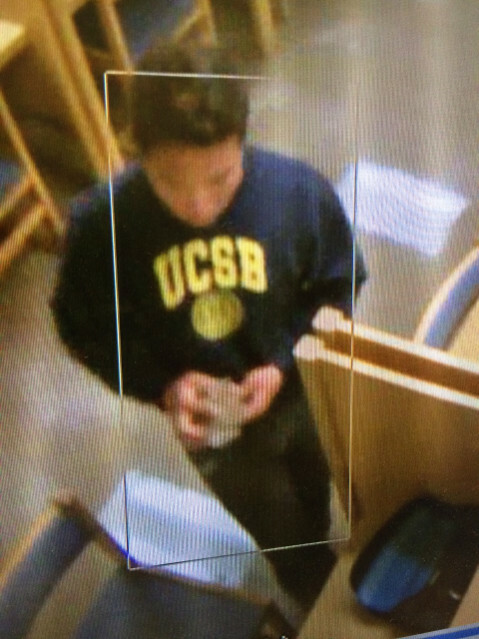 UCSB police officers on the afternoon of May 27 arrested a man suspected of taking photographs beneath women’s restroom stalls in the Davidson Library on May 14. The suspect was booked into County Jail, according to an email sent that night to students. UCPD Sgt. Rob Romero did not respond to multiple requests for the suspect’s name and whether the suspect is a UCSB student. Due to the ongoing investigation, those with information about the incident are still encouraged to call UCSB’s police department at (805) 893-3446.